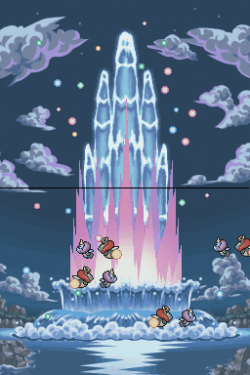 Explorers of Sky follows the previous games, explorers of darkness/time. 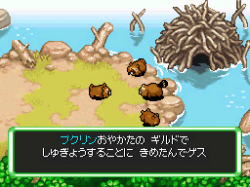 It has all the same crawling action as in every explore game. Even though its basically the same game, its easy to realize the changes. 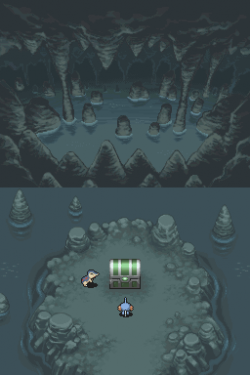 There is new dungeons, everyone harder than the next. Mastering the game IS required. 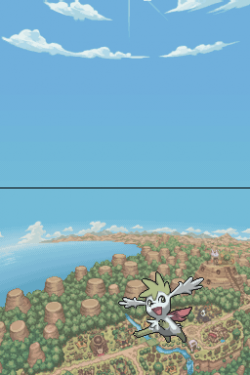 Shaymin has been added to the game making 492, with Arceus right at the end (most people say the HARDEST dungeon). Spinda's Cafe has been added to the game. 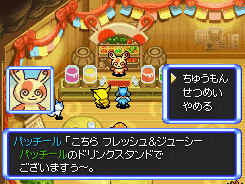 The cafe allows new missions and items. ALOT of additions have been made. This new game will come out soon, so mark your calenders. I am questing it will come out in the beginning of the summer. 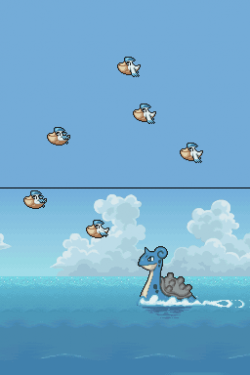 Here is a picture of what it look's like. Some of the missions are required to bring specific items and make sure you are at a high lvl. There are many new ways to catch more team members and stuff. I will be giving you more info on our latest site updates, and be sure to check with us later on. 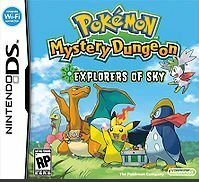 REDMOND, Wash., Oct. 12, 2009 – Today’s launch of the Pokémon™ Mystery Dungeon: Explorers of Sky video game for the Nintendo DS™ and Nintendo DSi™ systems gives players the opportunity to play through a game as an actual Pokémon. 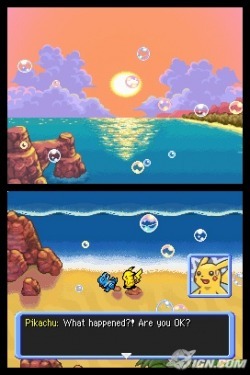 This newest installment in the Pokémon Mystery Dungeon video game series expands on the fun found in Pokémon™ Mystery Dungeon: Explorers of Time and Pokémon™ Mystery Dungeon: Explorers of Darkness with new content, original storylines and more Pokémon for players to interact with. 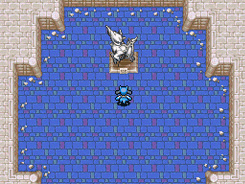 Players begin the game as one of 19 different hero Pokémon, which include five hero Pokémon not included in previous games. 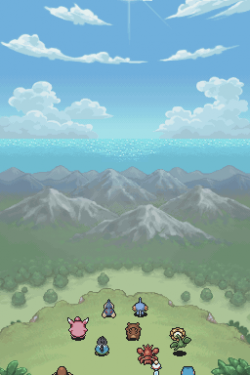 From there, players team up with partner Pokémon and set off on an adventure to save the world from destruction. 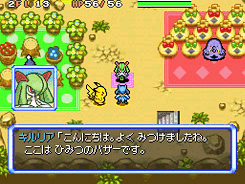 Throughout Pokémon Mystery Dungeon: Explorers of Sky, players will interact with more than 490 other Pokémon in this dungeon-based role-playing game and uncover an immersive storyline by playing new Special Episodes. 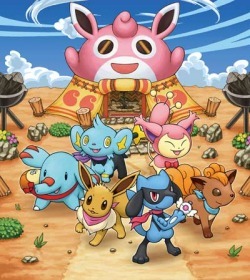 In these Special Episodes, players experience new stories through the eyes of some of the supporting characters that first appeared in Pokémon Mystery Dungeon: Explorers of Time and Pokémon Mystery Dungeon: Explorers of Darkness. 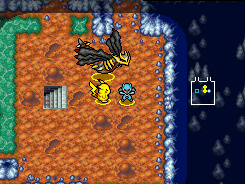 The game also includes a number of interactive elements that let players connect with one another. 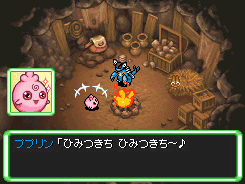 Players can send a demo dungeon to a friend’s Nintendo DS or Nintendo DSi system over a local wireless connection, or access special missions over Nintendo® Wi-Fi Connection via wireless broadband Internet access. 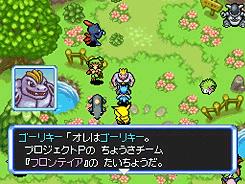 Up to two players can also trade items over a local wireless connection. 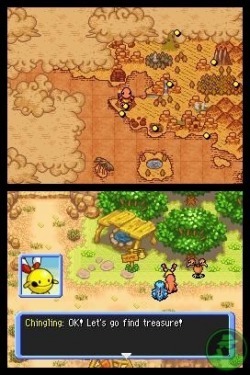 For more information about Pokémon Mystery Dungeon: Explorers of Sky, visit www.PokemonMysteryDungeon.com.